With a focus on small groups and intimate experiences, the Crystal Boutique Adventures programme offers passengers once-in-a-lifetime opportunities. In 2015 the line has introduced five exclusive new excursions to its collection. Hong Kong is famous for its dim sum spreads and Crystal Cruises is now giving passengers the chance to try their hand at the national cuisine. Classes are held at Tin Lung Heen, the Ritz Carlton’s two-star Michelin restaurant. While munching on creations guests can sip on cocktails and take in the panoramic city views at Ozone, the world’s highest bar. Get an authentic feel for China’s most populous city on this immersive experience. Take part in a morning park tai chi class, browse local goods at the wet market, tantalise your tastebuds at a Chinese cooking class, master the art of calligraphy and enjoy home-poured green tea with a local family. Learn the ins and outs of Japan’s elite national sport with a morning visit to the Tokyo Sumo Stable. Love sushi? Learn to roll your very own delicacies under the close instruction of an expert Otaru chef. Pick up ingredients at the local market, sample your creations and wash them down with a glass of sake. Treat your palate to the delights of Japanese traditional fare at this unique cooking workshop. You’ll learn to prepare tempura, teppanyaki and more! For passengers wanting to maximise their on-land time Crystal’s brand new panda themed Overland Adventure is the order of the day. Get up close and personal with China’s most adorable national treasure! You’ll fly to Chengdu and spend the afternoon exploring the UNESCO City of Gastronomy and its plethora of tea houses, authentic restaurants, chic bars, antique shops and more. 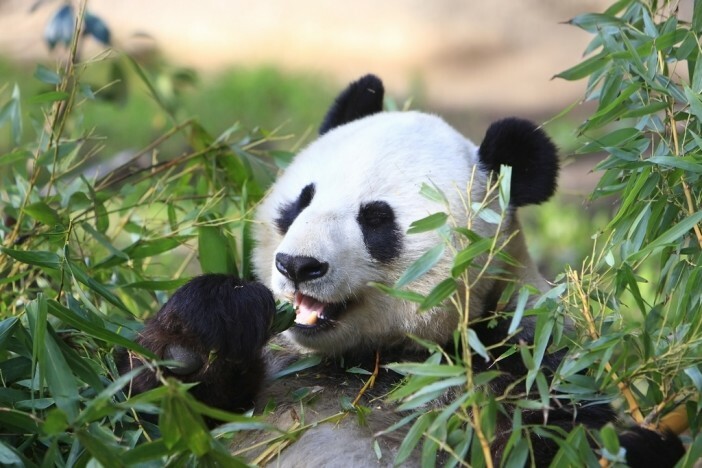 The next morning sees passengers transported to the Chengdu Research Base of Giant Panda Breeding where you’ll get a rare chance to meet the endangered animals. As well as Crystal’s Boutique and Overland Adventures the line has also introduced a series of unique experiences which shine the spotlight on the very best that Asia has to offer. Marvel at Putrajaya’s incredible architecture on a luxury moonlight lake cruise. With over 70% of the city’s space taken up by water and greenery Putrajaya is renowned as Malaysia’s most beautiful metropolis. Escape the hustle and bustle of Kuala Lumpur with a day trip to nearby Kuala Selangor. Here, guests will explore the ruins of Fort Altingsburg, chuckle at the antics of the local monkeys and dine on a small boat which navigates the mangrove trees and enters the midst of one of the largest firefly colonies on the planet. Famous for its sparkling waters, kaleidoscopic coral and diverse marine life, Thailand’s Ko Pha Ngan Island treats passengers to an unforgettable underwater experience. With origins dating back to over 3000 years ago, feng shui is an ancient art that’s still practiced to this day. Learn how to achieve harmony and balance on this day tour which offers fascinating insight into how some of Hong Kong’s busiest public places adopt the cultural practice. From the historic significance of the Bund district to the modern aesthetics of the Pudong financial area, Patrick Cranley takes passengers on an enthralling tour of Shanghai’s architectural melting pot. History buffs will jump at the chance to embark on a tour of South Korea’s Geoje Island. Discover the 1951 P.O.W Prison Camp, be blown away by the panoramic ocean views at Windy Hill and unravel the mysteries of the night sky at Sinseondae Observatory. Are you enticed by Crystal Cruises’ exciting new range of Asian Adventures? Head over to Cruise 1st site for some fantastic deals on the line’s extensive range of 2015 Asian itineraries.